The Army Black Knight's defeated the Colgate Raiders 48-47 at the United States Military Academy's Christl Arena in West Point, NY on Wednesday, February 18, 2015. 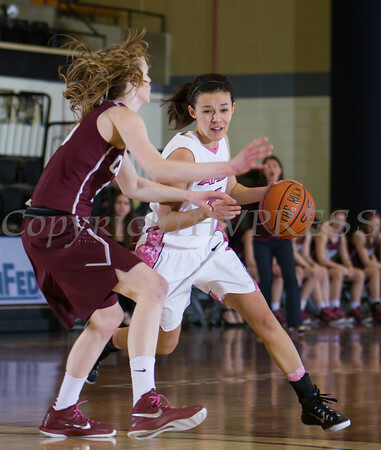 Army Guard Kelsey Minato (5) posted a team high 18 points as the Army Black Knight's defeated the Holy Cross Crusaders 67-53 at the United States Military Academy's Christl Arena in West Point, NY on Wednesday, February 18, 2015. Hudson Valley Press/CHUCK STEWART, JR.